Kumas » AdeptiCon in Schaumburg! 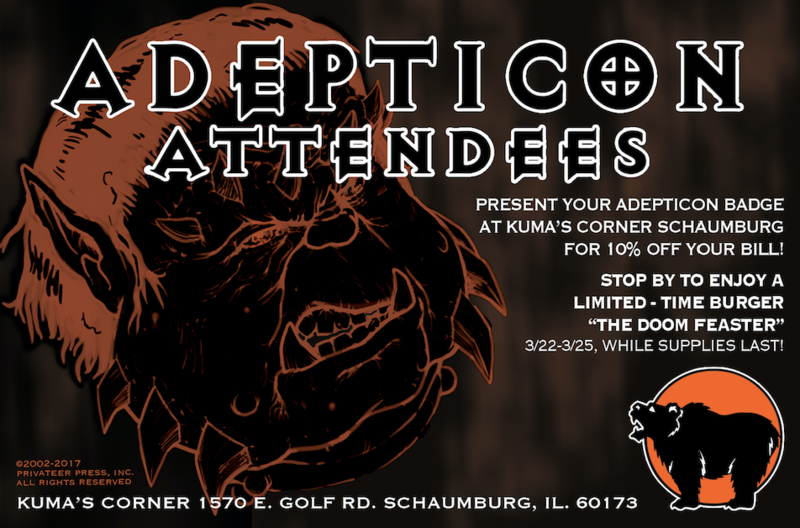 AdeptiCon, the world’s premiere wargaming convention, is coming to Schaumburg and we’re offering 10% off to anyone with an AdeptiCon badge through the weekend of 3/22 -3/25! 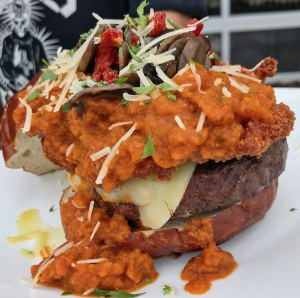 Also, we’re offering a limited-time burger, named after one of their previously unreleased characters, “The Doom Feaster”. Available 3/22 – 3/25, while supplies last.